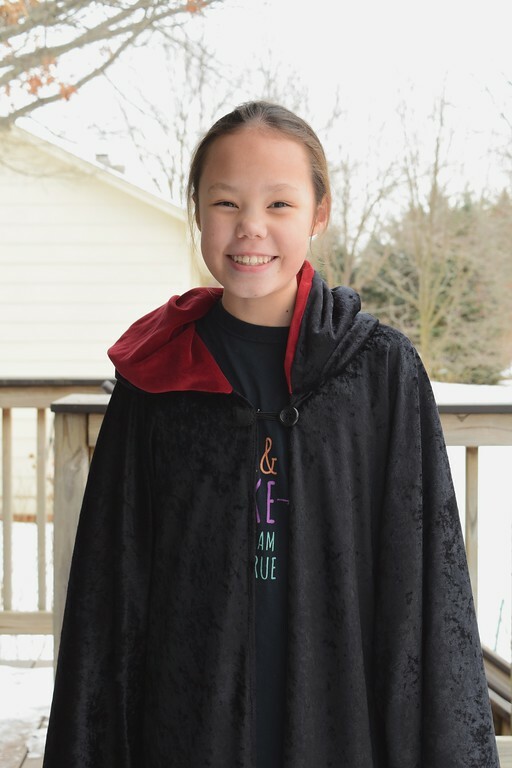 These robes were Emily's first pick for a guest-wearable at her Harry Potter party. In the lead-up to the party, we had many conversations about robe-making, mostly along the lines of how easy it was (Emily) and how much fabric it would require (me). 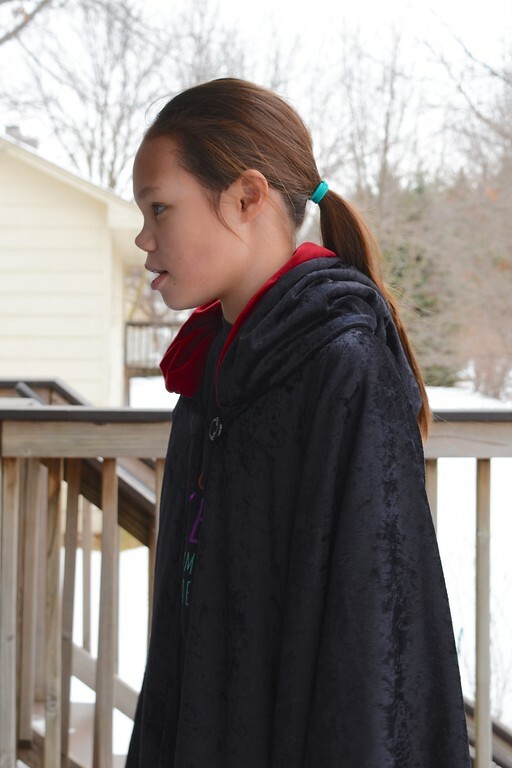 Now, it is true that robes are easy to make - so many of the Harry Potter parties we'd seen online, for instance, featured tiny kids wearing no-sew "robes" made from XL black Tshirts cut down the center front. Brilliant, but so not going to work with 12-year-olds, unfortunately. 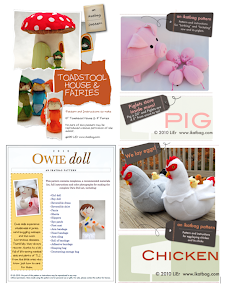 So then we talked about sewing them. Emily proposed our old Rapunzel-robe dresses, with hoods. We calculated: it would take at least 2.5 yards of 60" fabric per kid. That worked out to about $25 in velour (more in velvet or something else more drapey). We multiplied that by 12 kids, and suddenly it became clear that the numbers were no longer in our favor. She surrendered, and we talked about hats instead, which required far less fabric, and everyone was happy. 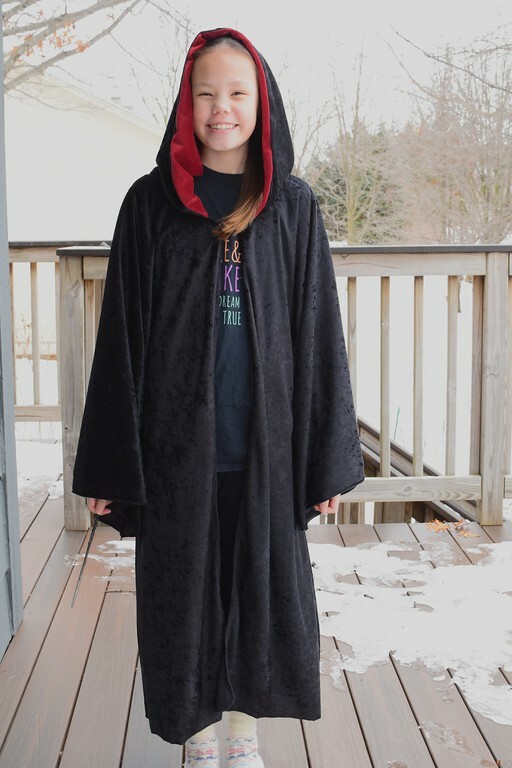 Emily, however, still had her heart set on a personal robe, so sometime before Christmas, I made her one, according to her design specifications. The body is essentially a kaftan-style flat layout with the bottom corners cut out to the armpits to create sleeves. that drapes around the face. The robe opens in front and is held closed with a simple button-loop clasp. 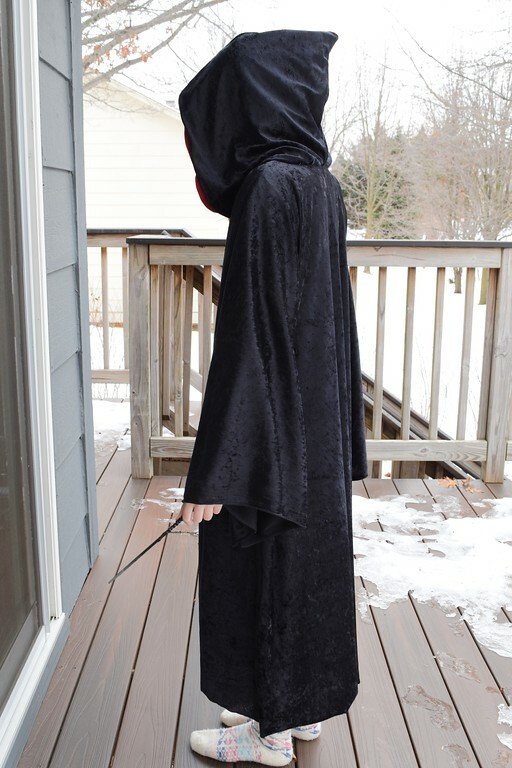 At Emily's request, I added a narrow wand pocket on the inside. Slash the bottom corners toward the armpits and remove excess fabric to create sleeves and side seams. Cut along the center front line to make the front opening. Fold 1/4" to 1/2" of both cut edges toward the WS and stitch down this hem to finish the front opening. Draft a hood whose bottom edge matches the complete neckline. 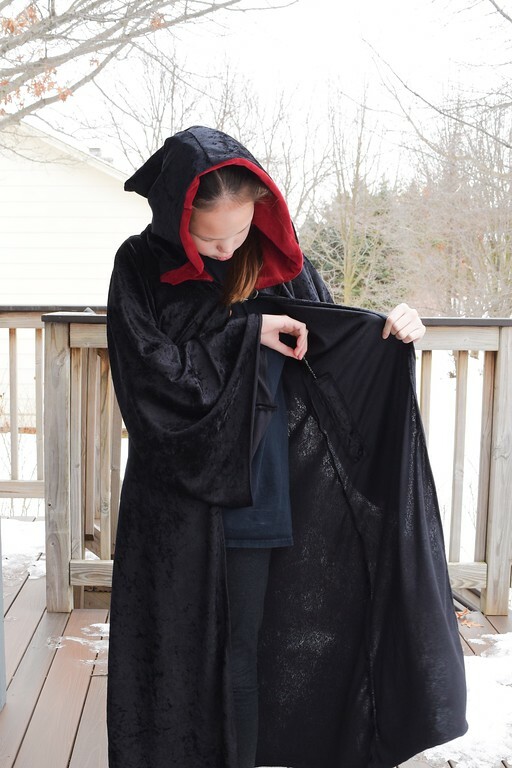 Layout the hood pieces on both the black outer fabric and the inner lining fabric. Assemble and attach the hood using this tutorial, enclosing the raw edges of the neckline between the two layers of the hood. Sew up the sleeve seams and the side seams. Make a loop-button clasp just below the neckline to hold the front opening closed. 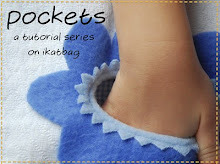 Add wand pocket if desired. 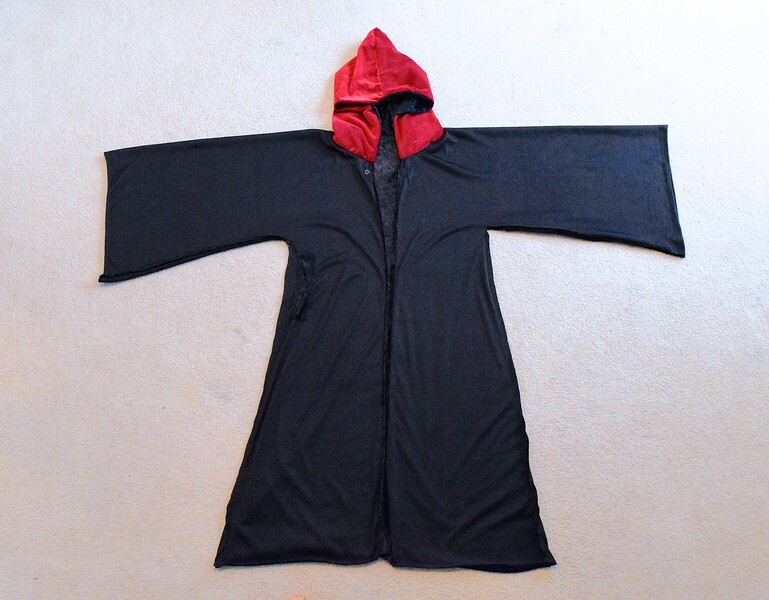 If you'd rather not draft your own robe, we've included the full-size hood template and all the measurements for drafting and laying out the robe body for someone of Emily's height (she's about 5' 2") in the pdf download file that's available at the end of all these posts. I'd say it would fit a 10-12 year old child but this is a forgiving fit, being so loose and drapey, and you can adjust chest measurements and lengths and so on to fit smaller/larger/shorter/taller children. Illustrated instructions to sew up the robe are also included. This is awesome! I want to make my daughter a robe and this should be perfect.